Creating Your Unique Style with Cathye bringing out the beauty in every woman by accessorizing her own unique style and adding a Touch of "Jewelry Sparkle" to her Wardrobe! WE'RE PARTYING ONLINE WITH THE NEW STYLE GUIDE!! "HOT" OFF THE PRESS, lia sophia's new FALL/WINTER 2013 STYLE GUIDE IS HERE!!! 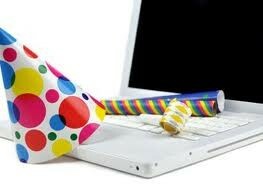 To join the "LIVE" Event, log onto http://www.anymeeting.com/CathyeRichardson1 the night of the Party! LIKE my FAN Page https://www.facebook.com/CathyeLRichardson BEFORE the "LIVE" Event to be entered into a drawing for a beautiful piece of lia sophia jewelry! Can't attend, but love lia sophia jewelry? NO WORRIES! On July 15 at 12:01 pm (CST), you can browse our New Style Guide and place your order online. Go to http://www.liasophia.com/trendycathyej and click BROWSE OUR JEWELRY, Enter Cathye and Richardson in the hostess fields and click GO!